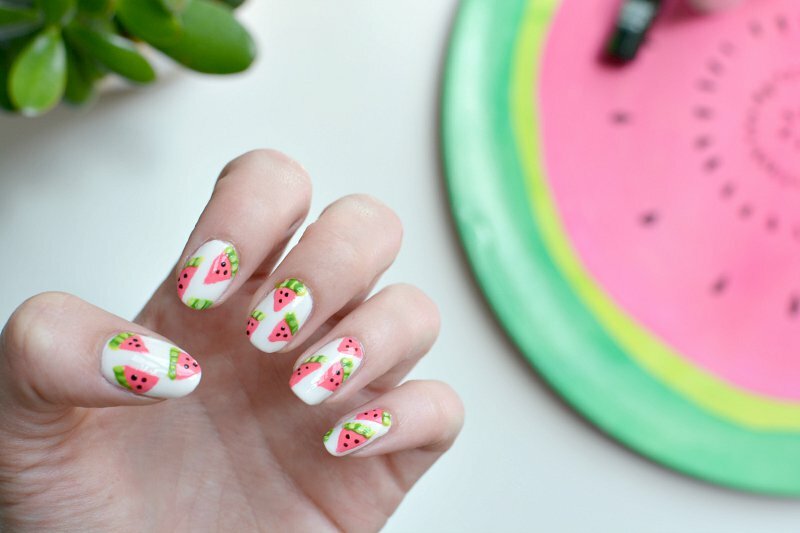 summer is definitely the time to get a little fruity with your nails right? 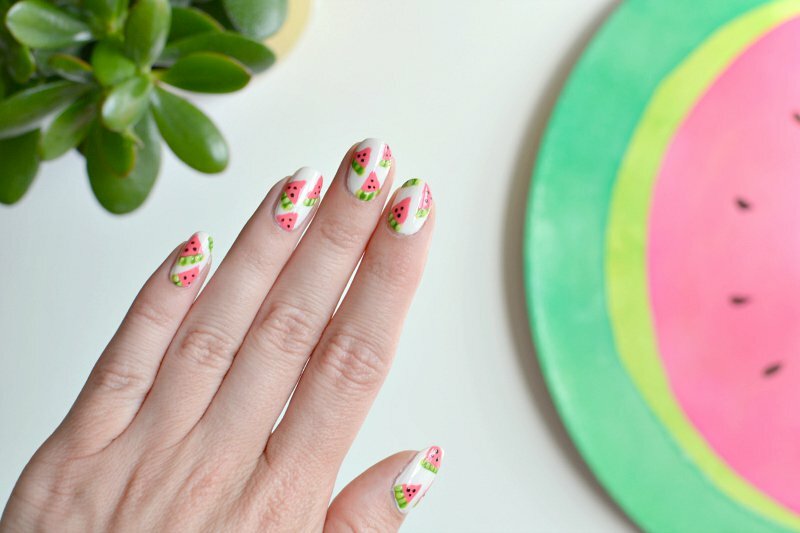 I painted this nail art at the weekend and I thought I'd put together a little tutorial in case you fancied trying your hand at some watermelon slices too..
first up paint a nice white base coat, I've used models own coconut cream as my base here. 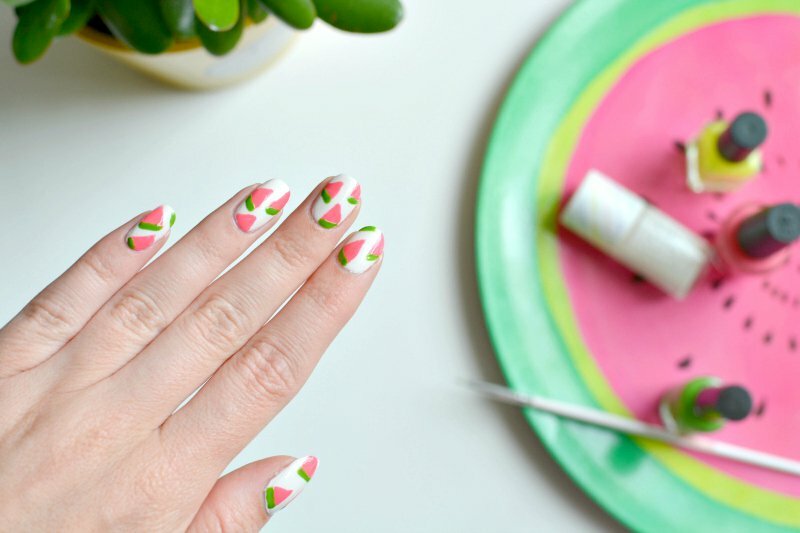 leave to dry then use a small brush to paint small pink triangles, space the triangles out, if your nails are very short and you want an easier version you could just paint one accent watermelon slice in the middle of each nail instead! 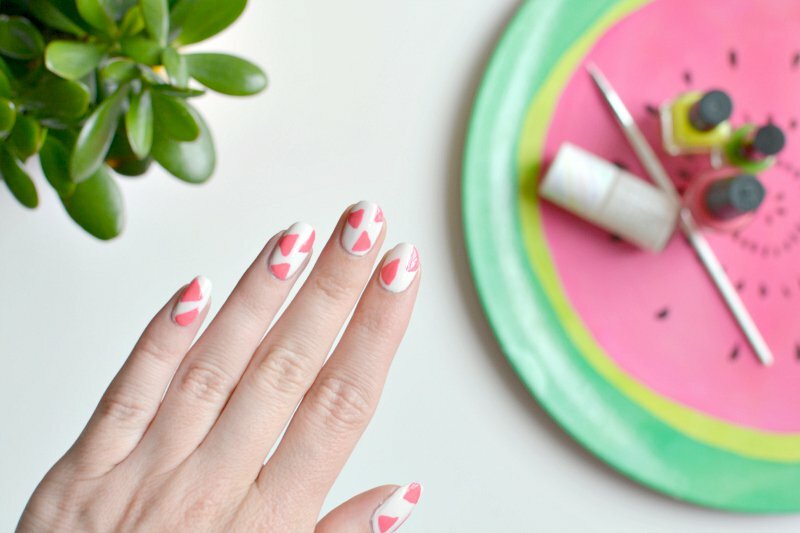 wash the brush in nail polish remover and use it again to draw a green stripe along the top of each triangle as above. 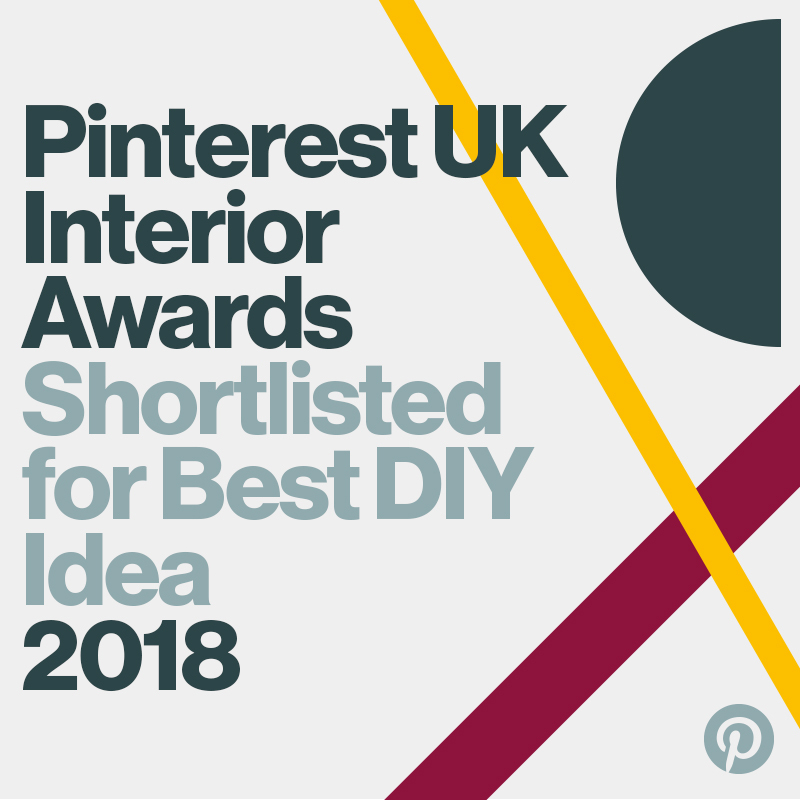 I've used the smallest brush from my models own tool kit for this nail art. to finish use the brush dipped in a paler green to add stripes along the original green line to create the watermelon skin. take a nail art pen or dotting tool and add a few black dots onto the pink to suggest seeds. when everything is all dry add a few coats of top coat to seal everything (as always I recommend seche vite) and your fruity fingers are complete! 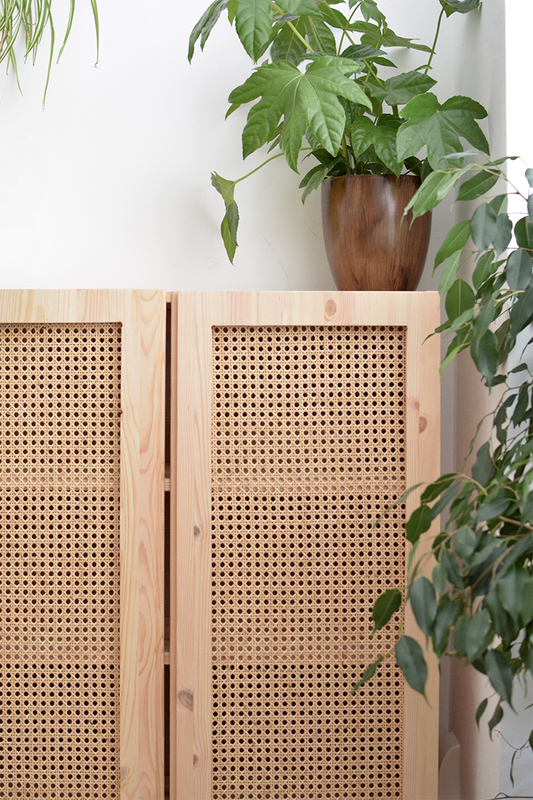 I really want to do this pattern. Your nails are so pretty, i love them! So cute! I wish I had the patience to do this on all 10 fingernails, would probably end up doing just some accent nails! I LOVE, so so cute! These are amazing! Perfect for summer! I'd love to try to do this.